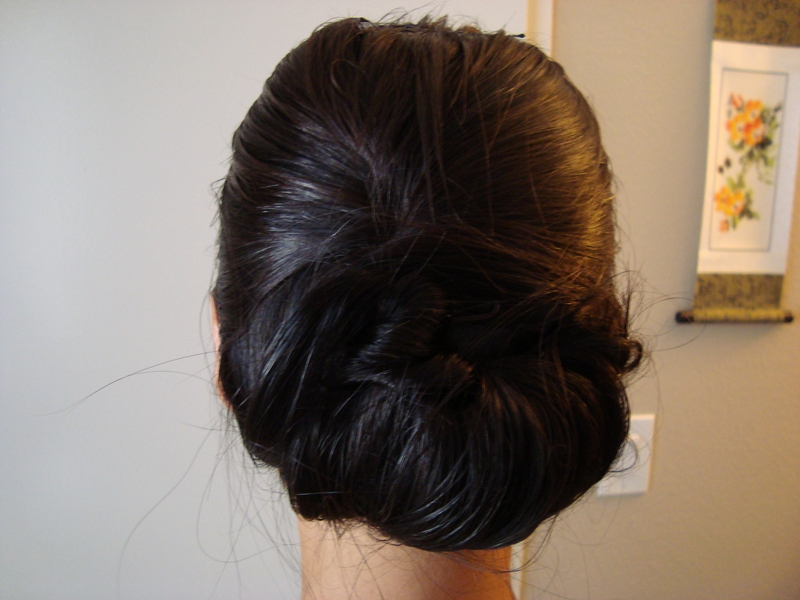 I styled my hair into this updo for an event last night. We saw a screening of Filly Brown, which I really enjoyed! It took about five minutes to create, and stayed put all night. I used this tutorial from The Small Things Blog, and I loved the result. The trick to making it work for super straight Asian hair is to make sure you start with some texture (hairspray, slightly dirty hair, etc.) and to use big bobby pins for the base. I will probably wear this for another event next week! 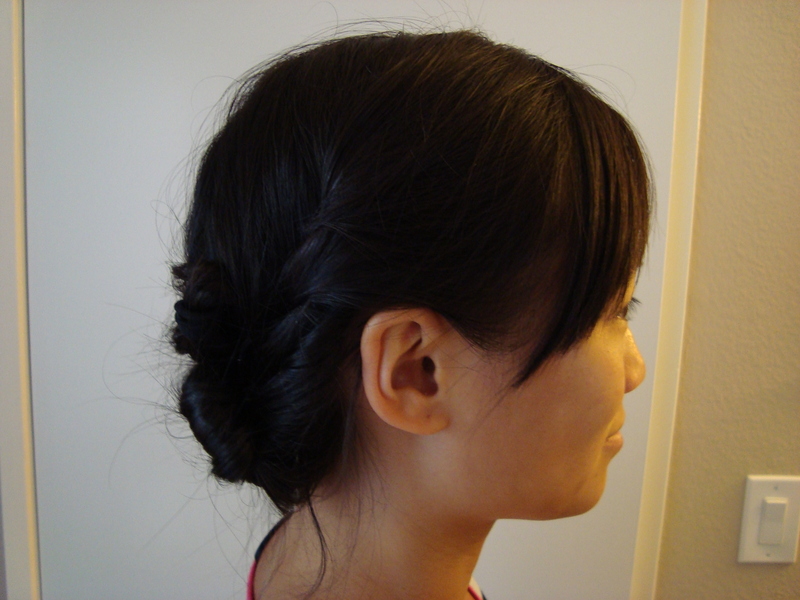 I used Goody Spin Pins to make my bun. 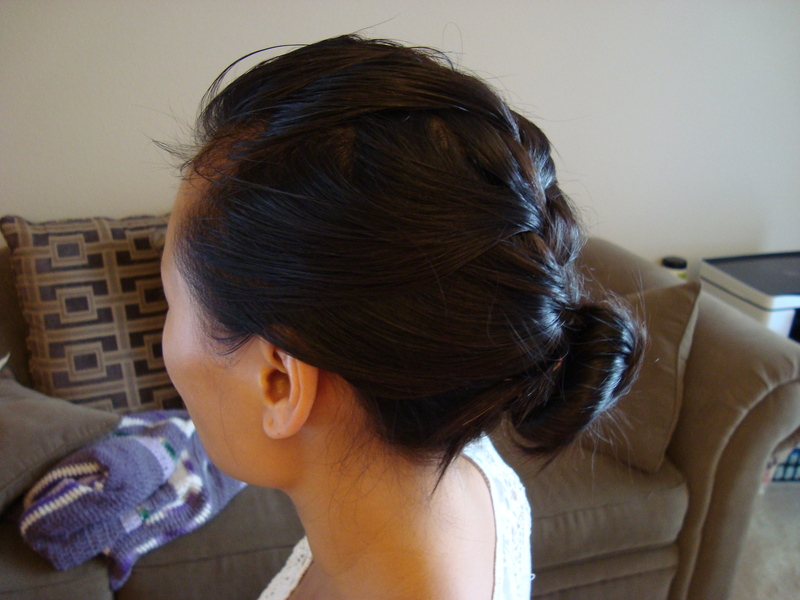 These things are amazing; you can make a quick bun without bobby pins or a hair tie. I used to spend a ton of time experimenting with my hair in high school. I colored it, wore different updos on a regular basis, and even had a perm for a bit. In college, I highlighted it and played with different colors. Then I started working, and dyed it from Asian orange back to its natural dark brown for the sake of professionalism. Since then, I’ve consistently had shoulder-length hair in my natural color. Snore, right? 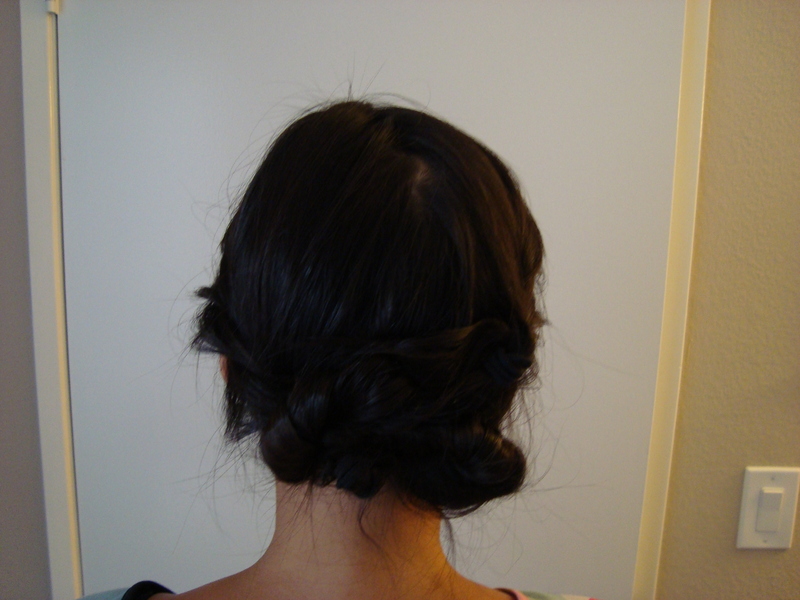 My hair is the longest it’s ever been at the moment, and it’s really hot in L.A. this week, so it’s the perfect time to play with updos. In high school I had to experiment on my own or get ideas from magazines. It’s a brave new world out there for high school girls, though, with thousands of instructional hair-related YouTube videos available to them. 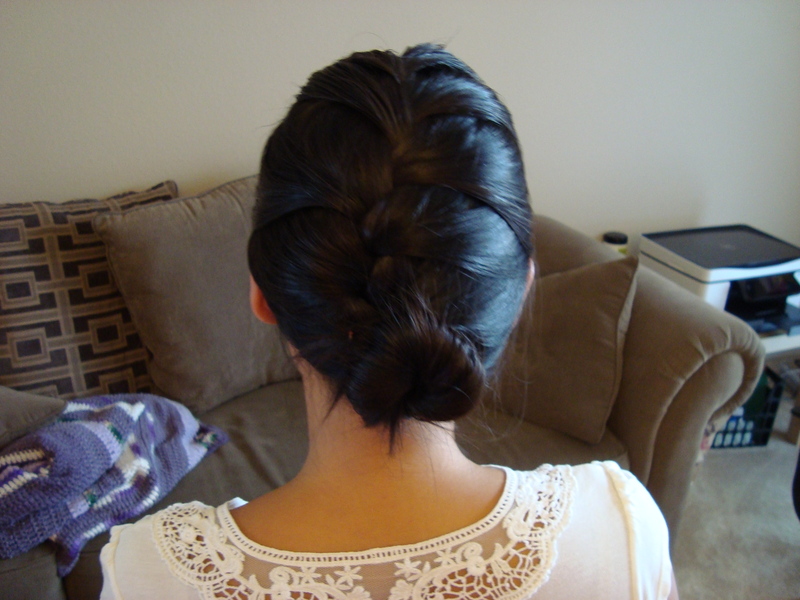 I tried this one today, and it was as easy as advertised, and looks so much more interesting than an everyday ponytail.